Skewering the pinksploitation of breast cancer since 2009. Seven Years in A Row! I'm a symmetry-challenged Baby-Boomer, an artist, writer & closet geek with a day job as a healthcare clinician. 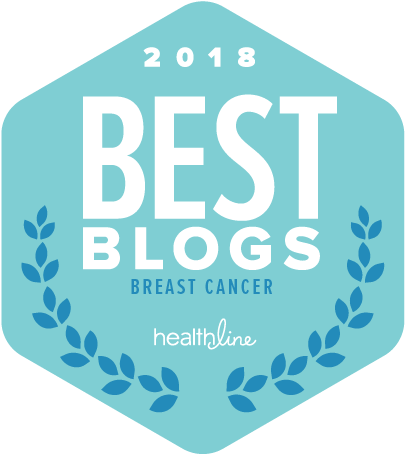 In 2008, I was diagnosed with breast cancer. Thus far, I've lived to complain about it -- and there's a lot to complain about, in the healthcare system & in the rampant merchandising of this disease. Change does not happen in silence, so I choose to speak out & question the status quo, with gusto, soul-searching, analysis & research, in the hope that it might help. A little skepticism is healthier than a lot of disillusionment. tell me what a fabulous job I'm doing. Click on the badge for links to badge code. 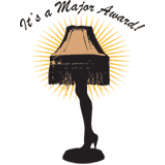 The first ever MAAM of the Year blogger awards (Mammogramatically-challenged And/or Also Metsters) were given to breast cancer bloggers of righteous snark. I'm so proud! Shock & Awe — Who, Me? Unless otherwise attributed, all blog contents, illustrations and original images are created by & are the sole property of Kathi Kolb, copyright 2008-2018, all rights reserved. Apart from legitimate links, attributions and feeds, no content may be reproduced, quoted or used without express permission from Kathi Kolb, author, artist & blog administrator.